EU Power Management Systems LLC – EUPMS, founded in 2004 by Edmundo J. Duarte, is celebrating its 10th year as an Independent Energy & Sustainability Service Provider in the US with an exclusive proprietary technology. 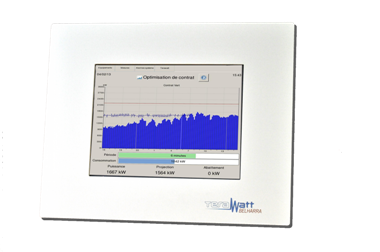 Terawatt Intelligent Demand Response System is an award winning cost-effective electric power optimization with effective results in carbon footprint reduction and load management. After a decade providing the highest quality technology in the US, we keep being focused in building strong relationships to truly apprehend our clients’ energy requirements and develop tailored solutions that can optimize power demand and maximize energy efficiency, reducing operating costs and balance sustainability goals with extended, dedicated and sustained support. EUPMS is focused in exclusively provide leading edge technologies with fast return on investment, proven and guaranteed results in sustainability and control of carbon emissions by tailoring power demand and electricity consumption to an optimized load shape profile, thus lowering operational costs and monitoring energy waste. Prenons l’entreprise BUHLER Quality Yarns Corporation, entreprise de textile située en Géorgie aux Etats-Unis, spécialisée dans la production de fils haut de gamme. La maison mère en Suisse existe depuis 1812. En cherchant des moyens de réduire ses dépenses d’exploitation, BUHLER Corp. s’est tournée vers notre distributeur aux Etats-Unis (European Power Management Systems LLC) pour réduire leur facture d’électricité en optimisant la demande de puissance et en rationalisant l’augmentation des coûts électriques. Le projet personnalisé a réduit les coûts de l’installation électrique de 8% en moyenne. Quality and Reliability, Efficient Electricity Usage St. Mary’s Hospital Athens, Georgia, member of Catholic Health East was ranked among the top ten hospitals in the state. It is a leading hospital in Northeast Georgia and was named Large Hospital of the Year in 2010 by the Georgia Alliance of Community Hospitals, and in 2011 received the Circle of Life Award Citation of Honor, by the American Hospital Association. St. Mary’s offers many programs and services to ensure the best quality of care is given to patients, and in 2010 St. Mary’s provided more than $14 million in Community Benefits. Looking for ways to cut operating expenses, St. Mary’s turned to European Power Management Systems, LLC to reduce their electricity bill by optimizing the power demand and rationalize the increasing costs in electricity. The customized project reduced the Hospital’s electrical bill by an average of 15%, and in addition to lowering their power bill, St. Mary’s can monitor their energy profile in real-time, identifying unnecessary electrical loads that can be avoided and waste eradicated, enhancing their dynamic approach to energy conservation policies. The new generation state-of-the-art intelligent Demand Side Management or iDSM technology provides a fully automated 24-hour demand response optimization based on a personalized, proprietary load DR algorithm. 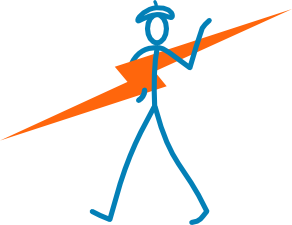 Terawatt’s Synapse proprietary iDSM programming consists of the planning, implementing, monitoring and optimization of the activity of a private electrical network. It is designed to effectively adjust and lower the level and pattern of electricity usage, reducing waste and identifying wrong utilization of resources by interfacing with predefined equipment, fine-tuning their performance to the real needs of the operation and shaping a rational power demand integration based on an adapted coefficient of simultaneity, thus a lower electrical consumption, which equals kWh savings. An energy profile coherent with the operation, electricity costs attuned with Hospital requirements, customized all-year round permanent iDSM optimization, remote access by manufacturer or authorized technicians, real-time monitoring on all operation, dependable technologically-advanced system, detailed reporting on produced results, energy conservation solution. viewed as the equivalent of planting 368 acres of trees, removing over 304 cars from our roadways or reducing the use of 187,496 gallons of gasoline.